Looking for an apartment, private room, or hostel in Croatia? Here are some of our favourite places to stay in Korcula, Dubrovnik, and Hvar. 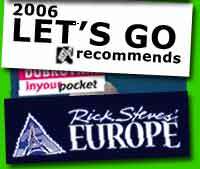 Backpacking or travelling in Croatia and looking for some good restaurants or bars? Click here for some of our favourite places to go out to eat, drink, and party in Dubrovnik, Korcula, Hvar, and Zagreb. Looking for some of the best bars, clubs, or pubs in Dubrovnik? Check out our new mini-guide to Nightlife in Dubrovnik! We're here to help make your holidays and travel in Croatia a trip to remember. 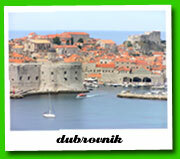 For more information about travel in Dubrovnik and the rest of Croatia, please scroll down the page. Right in the center of Zagreb. Next to the main square. Location. Location. Location. We are very proud of this apartment. It's got high ceilings, a really functional area to cook all those great products from the best open-air farmer's market in Croatia (literally a 30 second walk away). If you are a single traveler, couple, or a family, we promise you won't be dissapointed. Plus, we know some great restaurants for you to enjoy! BOOK APARTMENT IN ZAGREB! Fresh* mini-guides for Dubrovnik - a collection of some of the best places to drink, eat, and stay. Enjoy! Fresh* Favourites - here's a list of fresh's favourite recommendations for: accommodation (Dubrovnik hostels, hotels, sobes, private rooms, and apartments); (restaurants, nightclubs, and bars); useful web sites (information about travel in Croatia with links to travel agents, ferry schedules, sailing charters, etc.). Find Fresh* - a guide to transportation and getting around the Croatia. Includes suggested travel routes and intineraries. Plus maps for getting Fresh in Dubrovnik and Korcula. Fresh* Fotos - check out our photo album and see pictures of people getting fresh in Korcula and Dubrovnik. Have any photos that you want to share, please e-mail them to us. It used to be a couple of backpacker bars located in the spectacular towns of Korcula and Dubrovnik on the southern Dalmatian coast of Croatia. Somehow it became the first hostel in Dubrovnik's Old Town. And it also turned into cocktail bucket parties at local bars in Dubrovnik. Just wait until it becomes an in-flight magazine for a non-existent airline. That's next. We're looking for original writing, images, and travel pictures related to the Adriatic region to put together a magazine. If the inner writer/photographer/visual artist in you is yearning to be heard and seen, drop us an e-mail. The idea is still in its early stages so we'll post more when we know more. For more info about Dubrovnik check out world66 open source guide. Nov. 2005. 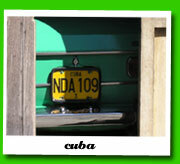 Cuba is awesome. Having spent the last two winters in Eastern Europe freezing collectively, it's nice to see white sandy beaches and palm trees again. Plan to spend the next month travelling around the island so probably won't be updating this for a while. Viva la Revolucion! Sep. 2005. We had a surprise party for Sanja's birthday. Korcula rocked. 200 people showed up. Didn't have enough cake but the beer was free and people danced barefoot in the rain. Special shout out to Happy House Backpackers Hostel Korcula (One Love), our Dutch juggler, Igor, Mari, Viv, Anna, and Claire. Thanks to everybody who came by Fresh this summer and helped spread the word. We wouldn't be here if it wasn't for you. Met a lot of great people. Special thanks to Jamie & Markus for showing up one day and staying for the next two weeks to play some nice sounds. Hats off to all the Korcula backpackers who came by and supported us. Props to our fire maestros Arek from Poland and Etien from Capetown. Congrats to Brent, who was working on a yacht, found Fresh in Korcula, quit his job, started busking, and got engaged to a girl from Split. Can't wait for the next season to get Fresh! home | find us | dubrovnik hostel | dubrovnik travel information | fresh favourites | fresh fotos | contact us | site map ©2005-2013 fresh* all rights reserved.